WOW! Nicki Minaj is about her business. 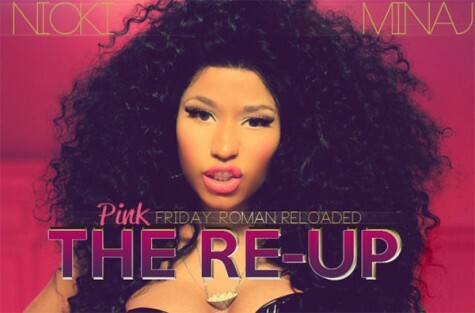 The Re-Up album tracklist features songs from her second studio album Pink Friday: Roman Reloaded which is on disc two. As well as brand new songs on disc one, featuring Parker, Lil' Wayne, Ciara, Tyga, Thomas Brinx and Cassie. E! has also announced a new reality show with Nicki Minaj called 'Nicki Minaj: My Truth' apparently seeing a different side to Ms Minaj. The show will be aired on the 4th November at 10:30PM on E! in the states; with the first three episodes being premiered this Sunday! Enough of me blabbing on, check out the tracklist below. The Re-UP hits stores on November 19 of this year.